The Newark Light Rail project connects New Jersey Transit’s Newark Penn Station and Broad Street Station. Contract 1 of this project provided for the extension of an existing tunnel located under Raymond Boulevard to the north, ending near Center Street and the New Jersey Performing Arts Center (NJPAC). KS Engineers, P.C. (KSE) was responsible for all structural designs required under Contract 2. This contract began at the end of the tunnel and brought the facility up to grade, and also added five new stations to the rail system. This project required close coordination with URS/PB Joint Venture, the prime consultants; the project architects, Fox & Fowle and Barton Myers; Wilson Ihrig (noise and vibration); and LTK Engineering Services (substations). The Newark Light Rail Line is one mile long and connects two of NJ Transit’s busiest train stations – Newark Broad Street Station and Newark Penn Station – to the downtown business and recreation districts. It was projected to carry 4,000 average weekday trips after the first year, growing to 7,000 trips by 2010. 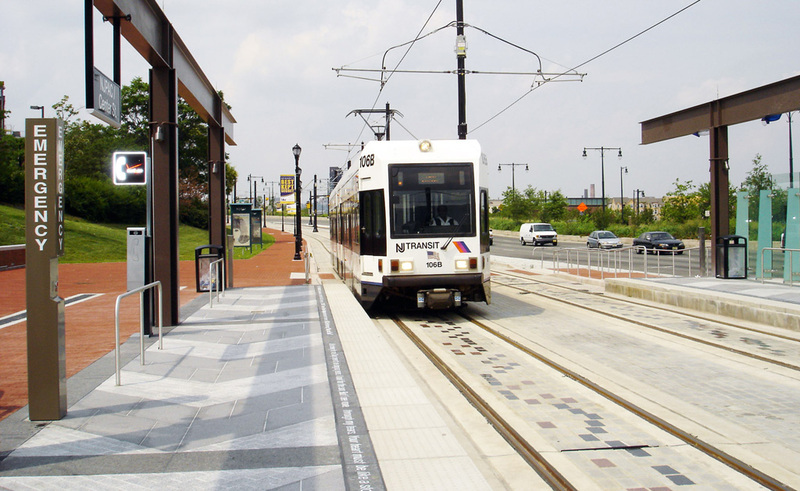 This new light rail line includes stops at the New Jersey Performing Arts Center / Center Street Station, Atlantic Street Station, Newark Bears and Eagles Riverfront Stadium, Broad Street Station, and Washington Park Station. Construction began in 2002 and the rail system was opened to the public in July 2006, on budget, at a cost of $207 million. The new facility provides an important mass transit option for the public by enabling the transfer between six NJ Transit commuter rail lines, as well as convenient connections to AMTRAK, PATH trains, NJ Transit bus service, and numerous downtown employment centers and entertainment destinations within the City of Newark. In recognition of our work on this project, KSE received the 2007 Platinum Award for Engineering Excellence from ACEC NY and the 2007 Distinguished Award for Engineering Excellence from ACEC NJ.